About one-fourth of all VW Jettas are sold with diesel engines; get ahead of the popularity curve and take your 2012 Passat as a TDI, for its torquey city feel as much as for its 43-mpg highway fuel economy. A massive rear seat and better-than-hybrid highway fuel economy mask the slight loss of refinement and nimble road feel in the 2012 Volkswagen Passat. Volkswagen's set out to completely re-engineer its core products for America, in the hopes of grabbing some of the momentum that's vaulted South Korea's Hyundai and Kia into the heart of the mid-size sedan market. With the Jetta upsized and repositioned, it's now the Passat's turn. 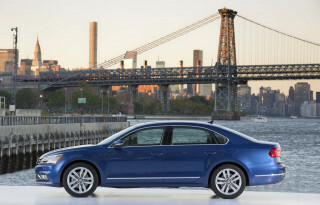 German-engineered is a key phrase for the 2012 VW Passat, the company's first American-made vehicle since 1985. 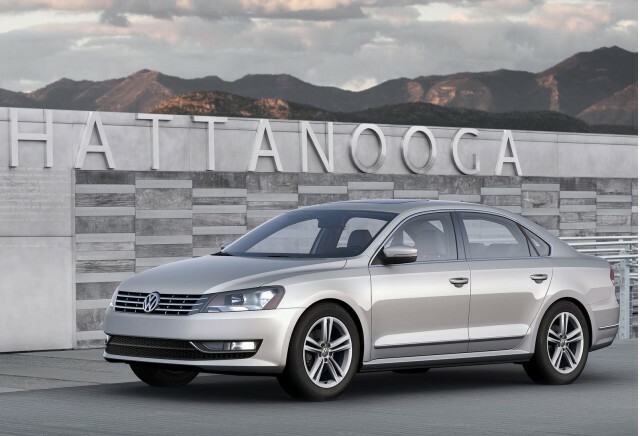 Issuing forth from a billion-dollar factory in Chattanooga, Tennessee, this Passat grows longer and wider, and reverts to some stalwart engines and suspension designs, so that it can be manufactured more simply, and more inexpensively--which should help VW bring the base price for the big new sedan down to about $20,000. The Passat's certainly gained status in some important ways. The rear seat is tremendous, bigger than the bench in an Azera or an Avalon, with the kind of ease of entry and exit we're used to getting in a minivan. The trunk's also pretty vast. Road manners are as close to the outgoing Passat as they possibly can be, given the stretch in wheelbase--and the automaker's TDI diesel wows even hybrid drivers with an estimated 43-mpg highway fuel economy rating. Like the Jetta, the Passat's taken a step back or two from some of the heights of VW's recent past. Its sheetmetal can read elegant and timeless--or in the wrong color or from the wrong angle, dull. The interior's better honed and more finely graded than the one in the Jetta, but only roughly the equal of the cabin in a Fusion or an Altima or a Legacy, and nothing like the outgoing Passat's tightly grained, rich-feeling environment. As it keeps options and models to a bare minimum, Volkswagen's omitted some features in some combinations we'd like to see, even as options. Want a base Passat TDI with cloth seats, satellite radio and a USB port? It doesn't exist. With either of the tested engines, acceleration's mid-pack at best. We'd have no problems recommending a base Hyundai Sonata automatic for roughly $22,000, but the Passat's grumbly five-cylinder and its second-tier gas mileage make the TDI the better choice--and that means a base price of about $25,000 instead. For that price, you'll get a sedan with nearly 800 miles of driving in each tank of fuel, and limousine-like rear-seat room, with a dash of the handling brio you'd expect from a Volkswagen. If those attributes top your shopping list for a new family sedan, the Passat rules--knowing there are better values, better lookers and better straight-line performers out there, but none bigger. You can call it elegant or you can call it dull; either way, the 2012 Volkswagen Passat sits in stark relief to the dramatic shapes coming from Korea and Japan. Volkswagen wants you to see the new Passat as an island of placid, timeless design, and when it's parked side by side with the competition, it holds true. When it's on its own, though, the Passat can appear a little distant and plain. Each time you read the Passat's side view and study its surfaces, you'll see echoes of some distant VW--mostly, of the old Quantum sedans, and maybe the Chinese-market Santana. 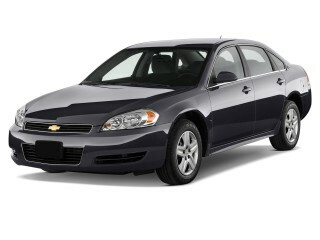 There's a common outline with the Chevrolet Impala, and it's nearly the same size but far more cohesive than the Honda Accord. 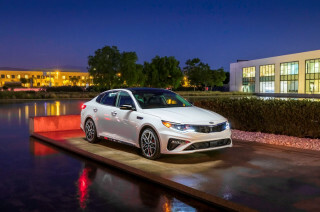 No matter what, you notice the starkness, compared to the Sonata and Optima and Fusion and Altima, and it can read a little dull. The long glass in the rear doors flattens out the shape in an unflattering way, but the clean take is expertly detailed up front, and almost Volvo-like at the rear pillars. VW thinks this look still will look good in a few years when flashier themes have waned, and we're inclined to agree--even if that runs counter to the American idiom. The cabin's prime assets are divided on a north-south axis. Above the shoulder line, the Passat wears nicer, more tightly grained plastics; the harder, open-textured stuff lives beneath that line. There's an admirable straightforwardness in the controls, something Volkswagen's managed to preserve since the mid-1990s while sister brand Audi's gone totally off the function/form reservation. The dials are big and readable at a glance, with thin chrome bangles to set them off the dark backdrop. Woodgrain or metallic treatments panel the broad dash, and the ancillary controls have logical dials placed in logical places. Part of the new Passat's frugal, traditional take means there's little of the complexity of, say, the Sonata's dash to rein in, and none of the iPad homages we'll get in some versions of the 2013 Ford Taurus. It's buttons and switches, right where you expect them to be, like a swig of automotive throwback Pepsi, circa 1994, right down to the handbrake on the center console. The TDI lends the Passat a lively feel, even if the five-cylinder's faster--and handling's a cut above most of the competition. It's one of the better-handling vehicles in its class, and the TDI is a clear winner in the 2012 VW Passat lineup, but the base engine's a flair-free has-been. When its American roll-out is complete, the front-drive Passat will have a trio of powertrains under its belt. Since the 280-horsepower, 3.6-liter V-6 version arrives later in the model year, Volkswagen could not provide a test car equipped with the biggest engine. The promise: a 0-60 mph time of 6.5 seconds, and a top speed of 130 mph. Of the Passats we've driven, the clear winner is the turbodiesel 2.0-liter four, even though it's a few ticks slower to 60 mph. The usual diesel specifications sound light on horsepower, but heavy on the torque and high in fuel economy. With 140 hp to dole out while it twists out 236 pound-feet of torque, the TDI edition nearly matches the base car's acceleration while it adds about 10 mpg to gas-mileage numbers. VW promises a 0-60 mph for the TDI at 9.3 seconds with the manual transmission, and 9.1 seconds with the dual-clutch automatic, and estimates a top speed of 118 mph. In a long driving loop of mixed four-lane interstates and limited-access highways, with some country roads stitching them together, the diesel Passat rumbled with the usual low-speed diesel feel, and pulled smartly, with a more energetic feel than the acceleration numbers indicate. Only dual-clutch TDIs were available for testing, but our opinion of the transmission hasn't changed much over time. The only thing to take away from its split-second shifts, well-spaced gears and suitability for mid-speed sporty driving is the lack of paddles for shifting. At 43 mpg estimated for the EPA's highway cycle, the TDI's slightly slower straight-line performance seems like a fair trade-off, particularly when it's compared with the lackluster five-cylinder alternative. VW's five-pot feels like it's been around forever, and it's tired. Throttle responses are sluggish, power delivery's flat and unexciting and there's just as much vibration as the diesel provides. With the six-speed automatic transmission, VW says it can accelerate to 60 mpg in 8.7 seconds; a manual could drop it to 8.2 seconds, but probably wouldn't make it feel any more engaging. Ride and handling are a cut above all the domestic, Japanese and Korean competitors, with the possible exceptions of the Nissan Altima and Ford Fusion. With 17-inch wheels and hydraulic steering, the five-cylinder Passat sounds pedestrian but has the nuanced ride control and body roll that distinguishes it from the still-learning Korean brands. 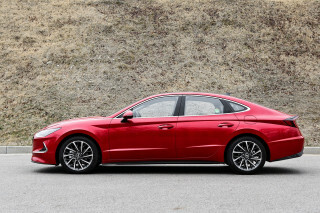 If you drove a Sonata, back to back, you'd feel the Passat's superior balance; it's a little more compliant over small bumps, which really stands out on interstate drives. On the TDI, the steering goes electrohydraulic, which lends fuel-economy benefits and a slightly zippier steering feel. 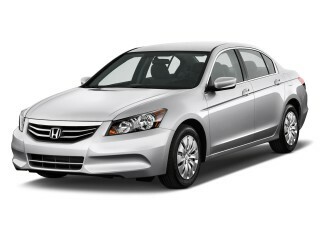 The TDI Passat had the best heft-to-accuracy ratio of its kind, up there with the all-electric steering in the Fusion. The brakes seemed a little numb on the prototypes we tested, but in all, the Passat's eager turn-in and body control are better than cars half a foot shorter in wheelbase. The 2012 VW Passat has limousine-like rear leg room; it could use more sound deadening to go with its supersized duds. VW believes Americans still like big cars. So while the rest of the automotive world is at least paying lip service to downsizing, the Passat's growing up and out, beyond the boundaries of large-car standards into a size class it shares only with the Honda Accord. By the numbers, the new Passat is 191.7 inches long, with a 110.4-inch wheelbase and an overall width of 72.2 inches. 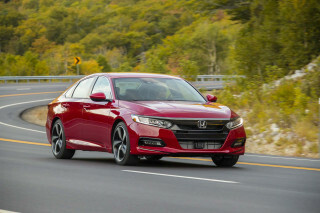 A current-generation Honda Accord checks in at 110.2 inches in wheelbase, and 194.9 inches overall length, while a Hyundai Sonata has a 110-inch wheelbase, and an overall length of 189.8 inches. Both of the latter sedans are almost exactly as wide as the Passat. In the front, the Passat's stock vinyl seats were the only ones fitted to early prototypes--and they're good in the usual VW ways. They're firm and simply stitched (and molded), and good for hours-long road trips. Levers and knobs for adjustment can be swapped out for power adjustments on higher trim levels, but only base cars get cloth seats. No matter how fine the vinyl's grained and pleated, fabric seats are more functional, especially for drivers in the Sun Belt. The cabin's now the same width as a Honda Accord or Chevy Impala, which opens up vast amounts of shoulder and knee room, though the chairs themselves are inset closer to the car's midline, instead of centered between the wide console and the door panels. There's a bit less leg room up front, too: the Passat's 38.3 inches of front leg room are helped by a more vertical dash and windshield, but it's still shy of the Sonata's 45.5 inches and the Accord's 41.4 inches. The back seat of the Passat is the biggest in its price class, even larger than some of the sedan-plus cars like the Hyundai Azera and Toyota Avalon. There's so much leg room it's possible that a six-foot adult can ride behind another six-foot adult and cross leg over knee--and still have a couple of inches of space left to spare. It's a cavern back there, and it's the clearest signal that the Passat has a different mission in other countries, like in China, where it will be pitched as a chauffeur-driven car. For the record, the Passat's rear-seat leg room measures 42.4 inches; the Avalon and Azera are well behind at about 38 inches, while the Honda Accord is about a tenth of an inch longer. That said, the Passat's roof arcs downward right over the rear headrests, and very tall passengers will make contact with the headliner, even in cars without the optional sunroof. 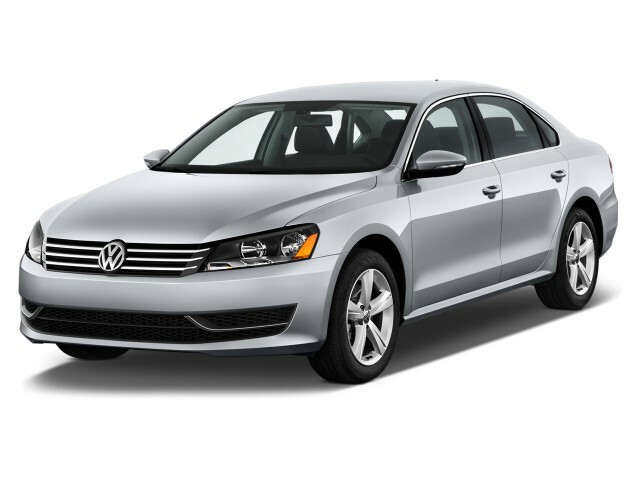 Its advanced safety features lag, but the 2012 VW Passat gets great safety scores. Official tests are in from the National Highway Traffic Safety Administration (NHTSA) and the Insurance Institute for Highway Safety (IIHS), and the 2012 Passat earns excellent safety scores--five stars and a Top Safety Pick, respectively. Each Passat comes with standard safety features including dual front, side and curtain airbags; anti-lock brakes, traction and stability control; and tire pressure monitors. Manual-transmission models have a hill-holder clutch. For the first model year, the Passat lacks the electronic assistants becoming more common on other family sedans--new features like front and rear parking sensors, a rearview camera, and blind-spot monitors. 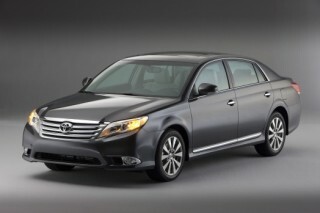 Some of those features will be introduced on the sedan in its second model year. Simplicity helps keep the 2012 Volkswagen Passat on budget, but some drivers will miss out on leather seats, satellite radio, and USB ports. Volkswagen covers most of the important bases on its list of standard features, but the options list can feel overly light in the class--and patchy, even puzzling, in some cases. The 2012 Passat is offered in three trims: S, SE and SEL. Each of them has standard automatic climate control; power windows, locks and mirrors; cruise control; 16-inch wheels; and Bluetooth. Move up to higher trim levels and option packages, and the Passat can be trimmed with 17- or 18-inch wheels; a power driver and power passenger seat; ambient lighting; woodgrain trim; and pushbutton start. In order to make the Passat less complex--and thus, less expensive--to manufacture, VW's limited the mixing and matching of options between those trim lines. So while a cloth interior comes standard on the Passat S, the SE and SEL sedans are upholstered in vinyl trim, with leather seating surfaces offered only on the V-6 edition as an option. If you want cloth seats on a TDI diesel or a V-6, you're out of luck. Likewise, if you're looking for satellite radio or a USB port on the base car, you'll have to resort to a plug-in version from Best Buy, since VW omits that feature from base cars entirely. On all Passats, an AM/FM/CD player is standard. The SE version adds a six-disc in-dash CD changer just when those changers themselves are being bypassed in favor of streaming audio in vehicles like the Ford Fusion and Hyundai Sonata, even the upcoming Toyota Camry. As an option, the Passat bundles a five-inch LCD touchscreen along with a GPS system that has some confusing menu operations, but fairly clean map layouts. 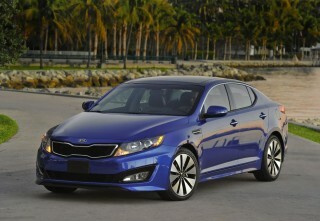 On the SEL, there's a 6.5-inch LCD touchscreen with a 30GB hard drive for GPS maps and for music files. Neither of the VW navigation systems have the fluid map rescaling and routing of the nicer Ford, Hyundai/Kia and Honda systems--they're more like the less expensive systems Nissan fits to the Altima, seemingly begrudgingly. Also, the V-6 Passat is the only one to have VW's new Fender-branded audio system. And there's no voice command control of systems like climate control and audio, as SYNC, UVO, Blue Link and Entune enable. VW's Bluetooth integration can throw new users for a loop, too. Most drivers are used to speaking a command or touching a screen to pair phones. On the 2012 Passat without navigation, the vehicle doesn't prompt you at all--you simply seek on your phone and connect with a blanket four-digit password. It's either fiendishly simple, or just fiendish, if you're used to driving the process with your voice or with a finger. The clear green winner in the 2012 Volkswagen Passat lineup is the 43-mpg-highway TDI; VW's graunchy old five-cylinder can't keep up with modern fours on gas mileage or overall horsepower. Lackluster fuel economy from five- and six-cylinder engines in the 2012 Volkswagen Passat is neatly counterbalanced by the overachieving turbodiesel TDI. In the base 170-horsepower, five-cylinder Passat, a low curb weight and a long top gear work together in manual-transmission models to register an estimated 21/32 mpg rating. The Environmental Protection Agency (EPA) hasn't confirmed those numbers yet, but VW says the estimates are in line with the agency's normal process. 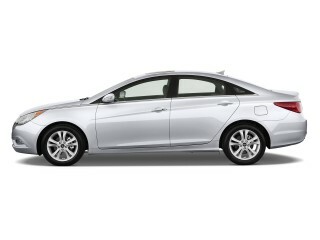 The same testing on the five-cylinder automatic-equipped sedan yields a prediction of 22/31 mpg. For the upcoming Passat VR6, VW pegs fuel economy at 20/28 mpg -- one rating, since that version will only be outfitted with a six-speed automatic. Regardless of which transmission is chosen--the five-speed manual, or a six-speed dual-clutch automatic without shift paddles--the Passat TDI checks in with an estimated rating of 31/43 mpg. Volkswagen says that makes the four-door the most fuel-efficient mid-size vehicle offered for sale in the U.S. In other model lines, the TDI has accounted for up to 25 percent of all sales, too, where hybrid models often only add up to 5 percent of total volume projections. Car exceeded all our expectations!! Gobs of low end torque. Quiet at speed. Great resale.Why anyone who commutes doesn't own one is a mystery. Five adults fit comfortably. The best vehicle I have ever owned.